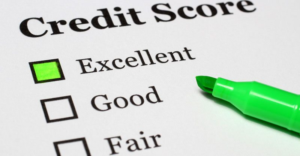 It’s easy to start worrying about credit scores, especially if you’re looking to buy a home or do something where your credit history can play a serious part. We totally understand and it would be naive to say that we haven’t been there. Everyone at some point has worried about it and has certainly been anxious about their finances. If you don’t have a credit card and are wanting to start building your credit score, getting a credit card is a good start. You’ll find there are credit cards that offer credit scores available and it’s of course worth reviewing and reading up on many of the most popular to see which is the right one for you. By using a credit card responsibly it’ll open up doors when it comes to renting an apartment, getting a cellphone contract or applying for car insurance. In theory you should pay off your credit card balances in full every month. Of course, we know it doesn’t always work like that but if you can keep the balance below 30% of the credit limit then that is good news for your credit score. If you have multiple credit cards that you struggle to pay off or go below the 30% mark, then consolidating them into a loan may also be a wise move. You will then only have to pay off one monthly balance at the same set amount each time. It’s so important to pay your bills on time. Not only will you have to endure late fees if you don’t pay on time, you’ll also harm your credit score. It’s one of the key factors in building credit and even the smallest of things can make a difference. For example, if you didn’t return a library book and were handed a fine which you didn’t pay, they may pass it on to a debt collection company which almost certainly would appear on your credit report. Naturally, this has more of an impact if they’re utility bills or mobile phone contracts, but no matter what the payment, don’t let it slide. It wouldn’t be a surprise if you removed former debts off your credit report, but it can work in your favour if you never had any problems making the payments. For example, if you paid off a loan or a mortgage on time every month that is thought of as good debt as you handled that debt well and were reliable with it. Leave this sort of debt on your credit report for as long as possible, it’s good for your credit CV.